Manage, motivate, train and support the Relationship Officers – Liabilities to achieve/ exceed monthly targets. Conduct regular Sales meetings to access why individual objectives are not being achieved and provide feedback to individual team members. Be the representative of Liabilities Team within the Bank for highlighting / raising issues. Interact and conduct regular meetings with Support Departments for ensure the expectations of Business Team and Support Team are mutually clear and troubleshoot any issues/ pending cases. Ensure complete awareness of banks product features, policies and processes at all times. Adhere to administrative requirements of maintaining document checklist and submitting daily sales report and daily call report. Maintain confidentiality of customer information, DIB information at all times while communicating. 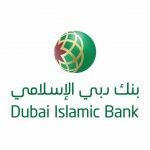 Minimum 5-7 years’ experience in SME Banking in local UAE market.